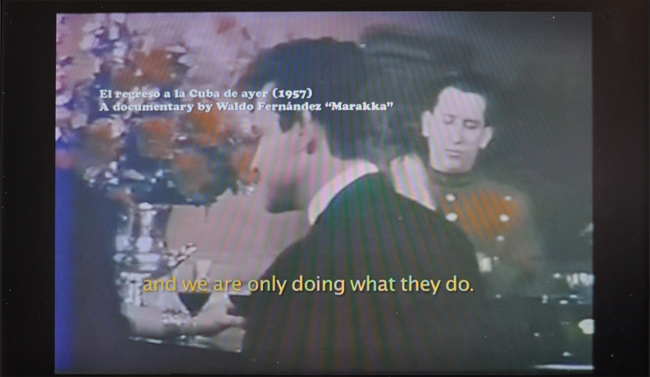 Since 1983, Waldo Fernandez “Marakka” has been assembling an archive of Cuban audiovisual memory. The collection–which functions commercially under the “Marakka 2000” brand–relies and exploits a loophole created by current Cuba-U.S. diplomatic relations, and is sustained by a precise and astute understanding of current procedures regarding the protection of copyright in the U.S.
“Marakka 2012” is a revision of “Marakka 2000”. From our perspective, Waldo’s archive is above all else a registry of its own constitution. A repertoire of source formats, a history of the transfers produced and the copying technologies employed. A deposit of all the available resolutions of the last 70 years. 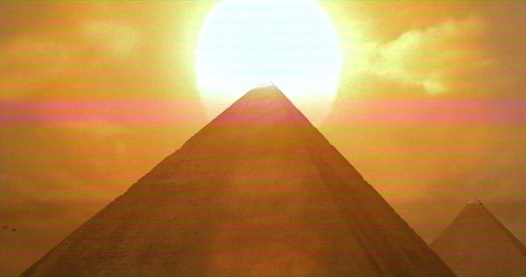 A monument to piracy, to the glory of anti-macrovisions. Marakka 2012 (still). 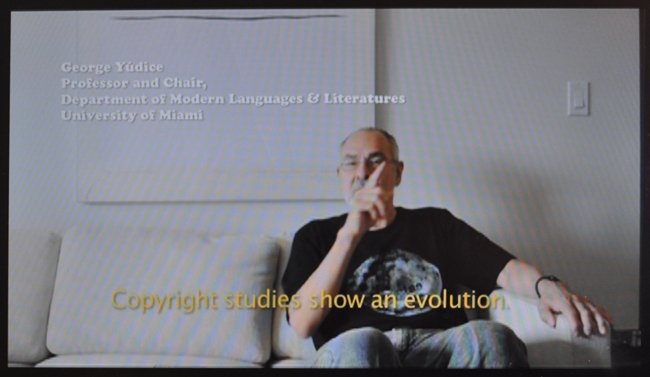 A documentary film by Magdiel Aspillaga and Ernesto Oroza, 2012.